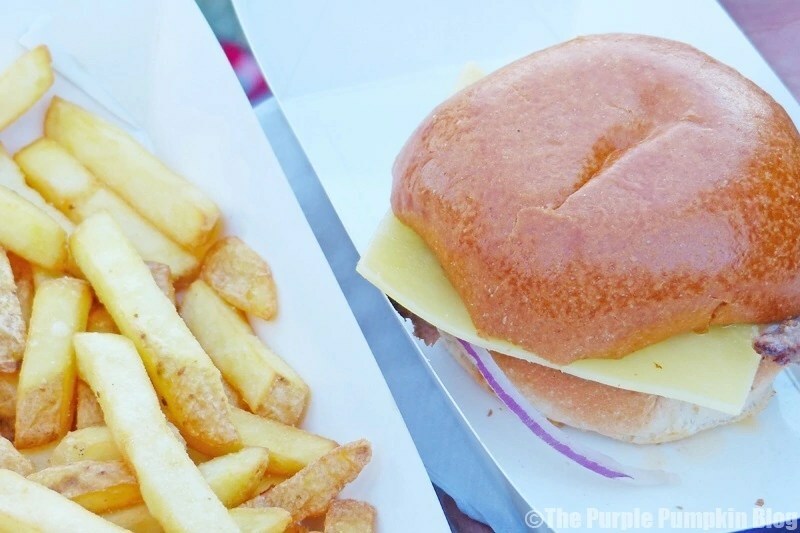 Following on from my review of The Feast Collective at Camp Bestival, here is our experience of the other festival food, that we ate during the weekend, as well as photographs of some of the stands we didn’t get to try – always another year! 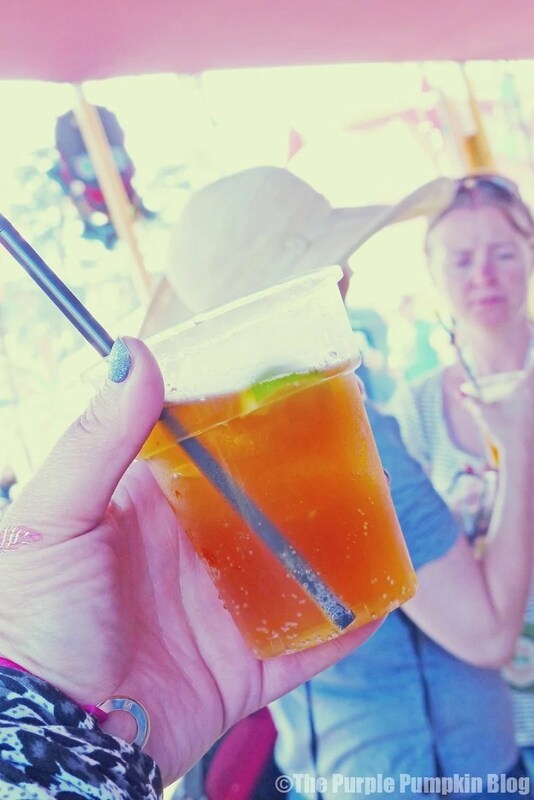 One of the first places we came across on our first day in the festival was the Day of the Dead Cocktail Bus, which was AWESOME! We didn’t actually buy anything from here, but the Camp Bestival Bloggers met here on Saturday afternoon for a catch up and we all were treated to a cocktail. Eventually we made our way to the Castle Field to listen to some of the afternoon’s acts on the main stage. The three of us – Steve (hubs), Liam (son) and I all had something different to maximise the different foods we could try! There was a large bar area, and several stands on opposite sides of the field. 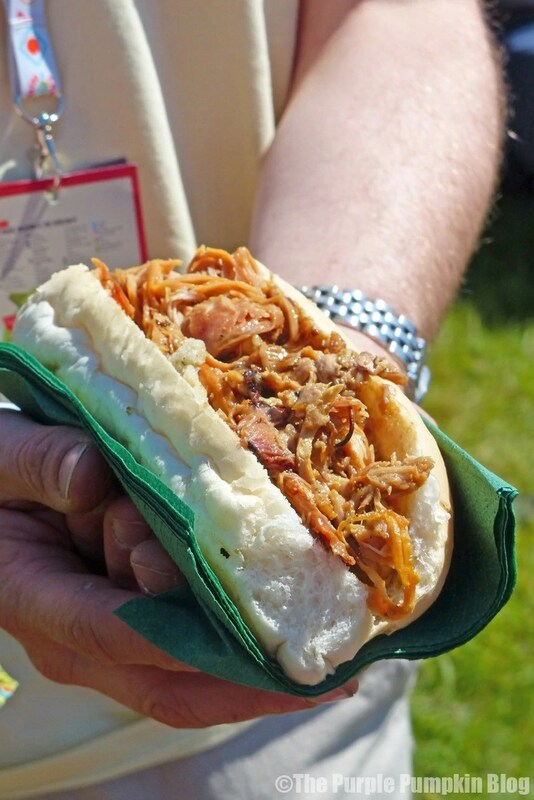 Steve bought a roll from the Whole Hog – which was packed full of succulent pork. The portion was very good, and they didn’t skimp on the meat. They had one of their whole hogs being roasted, in full view, which was pretty impressive! 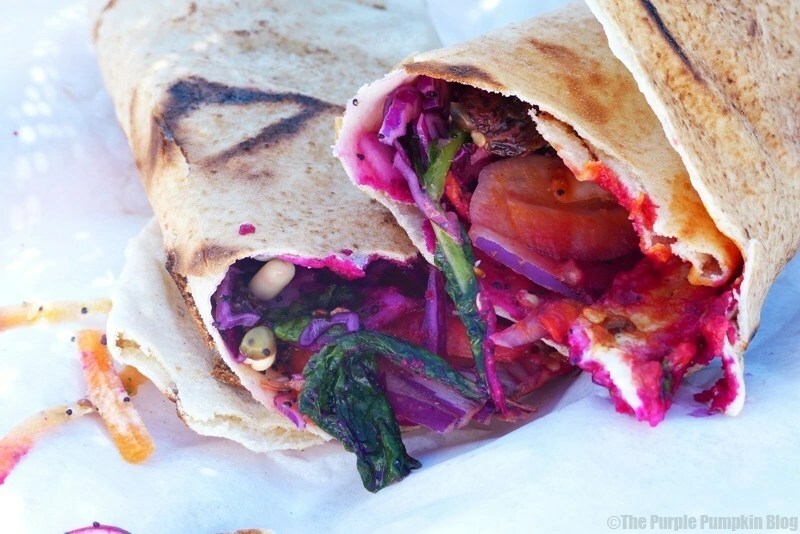 I had a halloumi wrap from Poco Morocco, which was very flavourful, and had a spicy kick. I think it could have done with a bit more halloumi. Finally, Liam had a burger and chips from Meatshed Burger Shed. He pretty much always plays it safe with burgers wherever we go! 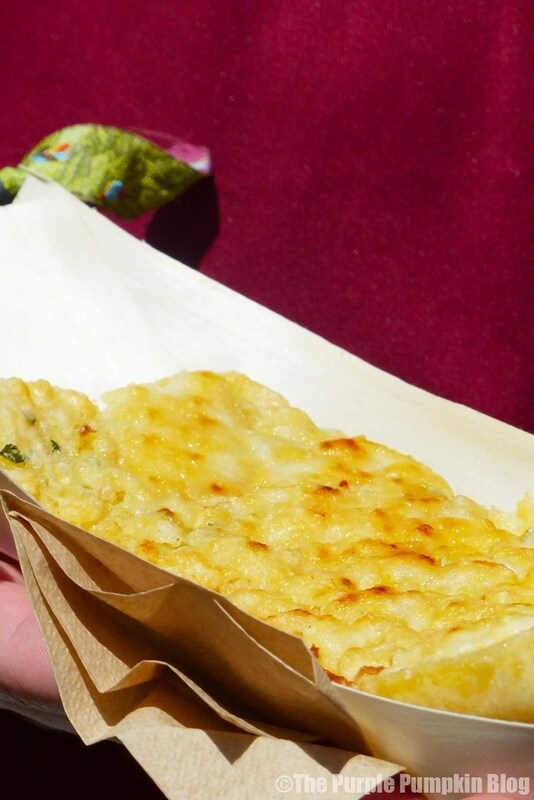 …as well as a slice of cheesy garlic bread from The Garlic Farm Field Kitchen. We popped along to the Dorset Farmers Market, but by late afternoon, a lot of the goodies had sold out, but there were some tasty sounding food on offer. 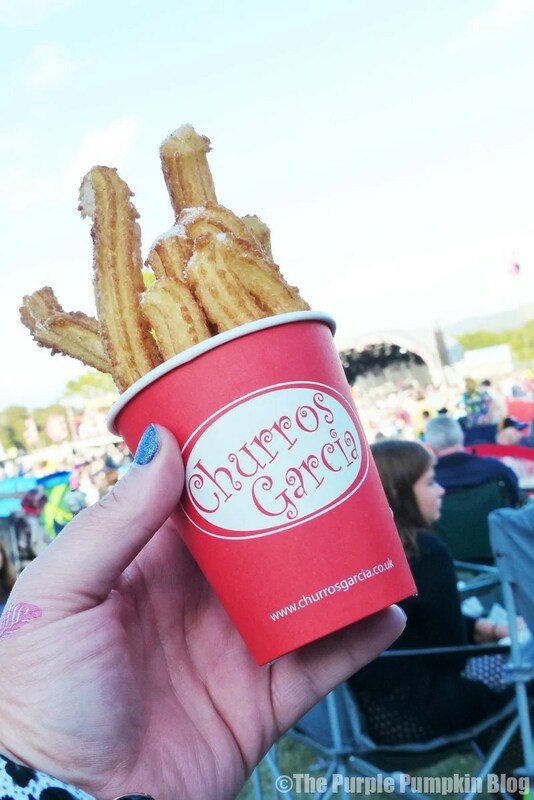 On Saturday evening, as we settled onto the Castle Field to watch the music acts, we shared a pot of churros from Churros Garcia, which were absolutely delicious, a good hit of cinnamon and a yummy chocolate sauce to dip into. The pot was a fiver, and we shared it between the three of us. Another burger for Liam in the evening from the Fine Burger Co. The line for this was loooong! But he eventually returned to us with a couple of boxes filled with a cheeseburger and fries. At which point the granddad of the family next to us, whom we had got chatting to, jumped in with his tray of pie and mash for me to take a photo of, and you can see in the first gallery at the top of this post! Cheeseburger & Fries from Fine Burger Co.
One of the best value food items we bought at Camp Bestival was definitely the HUGE plate of nachos, appropriately called Nachos Grande from the Flaming Cactus for £9. Easily enough for the three of us. They were loaded with beef chilli, refried beans, grilled peppers, sour cream, salsa and guacamole. Jalapenos were an optional extra. 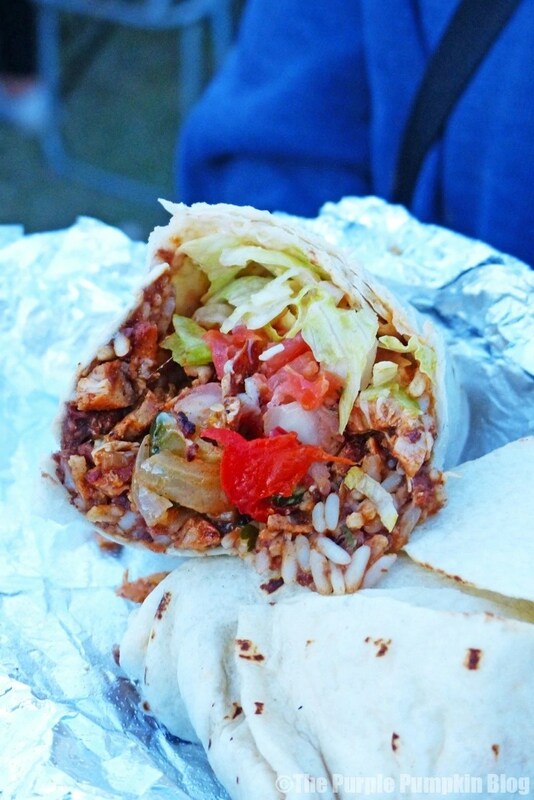 We also bought a chicken burrito, which we ended up sharing as well. Compared with the nachos, neither Steve or I thought it had much flavour, which was a shame because the nachos were awesome. 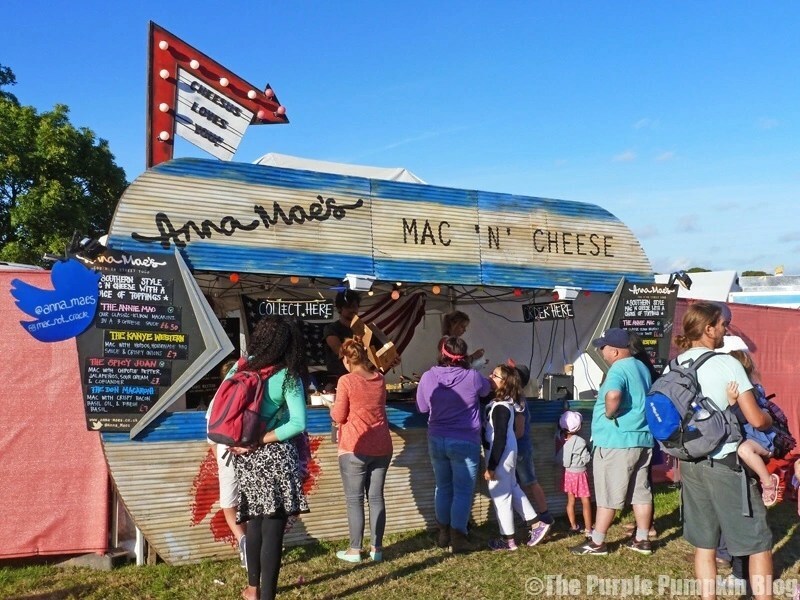 There were a couple of things that we wanted to try, but didn’t get the chance to, including Anna Mae’s Mac ‘n’ Cheese – Southern style mac ‘n’ cheese with a choice of toppings with fun names: The Annie Mac, The Kanye Western, The Spicy Juan and The Don Macaroni. 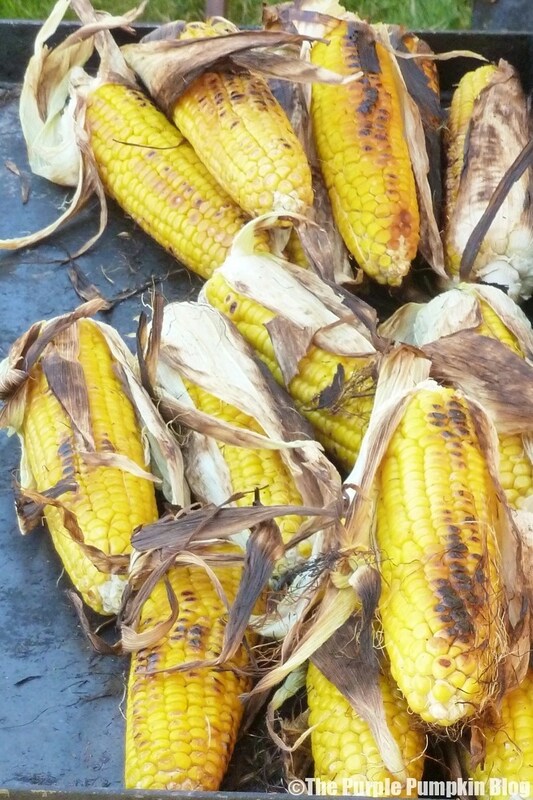 And a corn on the cob from the Cotswold Corn Roast Company. I also kept meaning to buy me a coconut from Coconut King, but in the end, I forgot! There were lots of places to buy tea and coffee (although, rather expensive!) the best value place, I heard, was the WI Tent, but I didn’t even get a look in, in there. There was also some food outlets on the Camping Plus field. Our closest was a coffee and bagel place, which we bought some (very expensive) bagels from on our first night, because we forgot to bring food for dinner… I’ll be writing about our first camping experience soon! Some really cool photos! 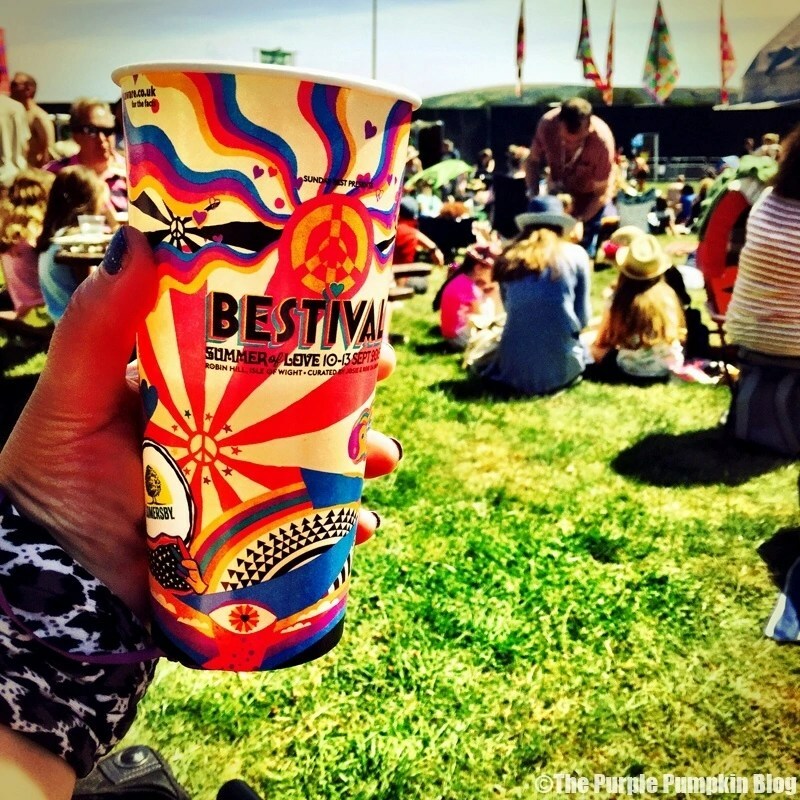 Bestival looked like it was a lot of fun. The food looked pretty good especially for festival food! Thanks! It was a lot of fun – some very impressive festival food, tasted good too! Wow, that food that looks amazing! Especially the churros. 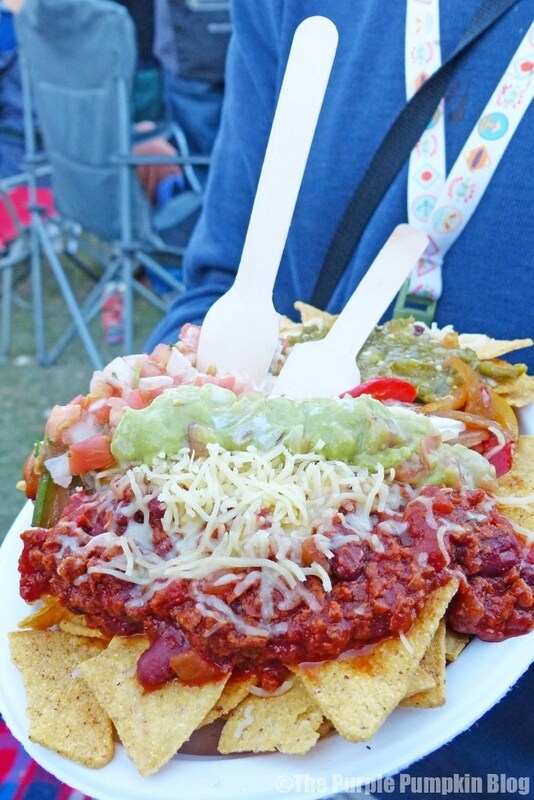 I always think that a big part of the treat of going to a festival is the food! You definitely don’t want to be taking lots of stuff with you or spending loads of time cooking. Such a selection to feast on! Definitely! There were some real treats here.